Pit Bulls - Love them or leave them alone! The message is straightforward and simple. Pit Bulls, Love Them or leave them alone! That’s the slogan of Shaw Pit Bull Rescue, a registered 501(c)3 non-profit organization in Columbus, Mississippi, dedicated to saving abused, abandoned or neglected American Pit Bull Terriers. Theirgoal is to provide abused, abandoned or homeless pit bull dogs with the medical attention they need; as well as the love and attention they deserve to heal - both emotionally, and physically. All dogs that arrive at Shaw Pit Bull Rescue are given appropriate vaccinations and preventatives for worms/fleas, receive medical care as needed, are spayed/neutered and micro-chipped before being adopted out. 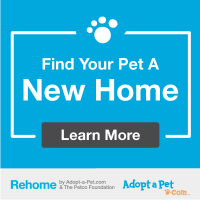 Prospective owners are screened via telephone, adoption questionnaire, and/or home checks. Shaw works tirelessly to facilitate the rescue and placement of abused or abandoned pit bulls into responsible, loving homes. They participate in fund-raising events to help provide pit bull owners with the means to seek veterinary treatment; spay or neuter veterinary services; and to provide food and shelter. Dedicated to fostering responsible pit bull ownership through low-cost veterinary spay/neuter, education, adoption, and breed advocacy, this small, but vital charity struggle on, relentlessly, against the daily challenges they face as they continue to strive for their mission. To help fund the rescue, the group rely on donations, fund-raising, and merchandise sales. The Mississippi Craft Show is pleased to welcome Shaw Pit Bull Rescue as our guests at the 2013 show. Shaw PBR will be offering their hand painted piggy banks, as well as other items they sell, in order to help fund their cause. Please come by their booth at the show, visit them on Facebook, or browse their website for more information and to learn how you can help.